The National Labor Relations Board (“NLRB”) recently issued a decision in The Boeing Company, 365 NLRB 154 (2017), establishing a new standard for reviewing employee handbook policies that may run afoul of an employee’s right to organize, protected by the National Labor Relations Act (“NLRA”). Section 7 of the NLRA protects employees’ right to engage in concerted activity, organize, and bargain collectively while Section 8(a)(1) prohibits employers from adopting workplace policies that interfere with, restrain, or coerce employees in their exercise of these rights. Until recently, the NLRB has taken a broad approach to what constitutes “interference” of these rights. In Lutheran Heritage Village-Livonia, 343 NLRB 646 (2004), the NLRB put forth a “reasonable construction” test to analyze these workplace policies. The Board’s approach was to first analyze whether the rule in question explicitly restricted Section 7 activities. If it did, it was a violation of the NLRA. If it did not, the next step was to determine if any of the following were true: (1) the employee reading the rule would “reasonably construe” that rule to prohibit Section 7 activity; (2) the rule was promulgated in response to union activity; or (3) the rule had been applied to restrict Section 7 rights. If any of those three prongs were met, the rule violated the NLRA. The vague “reasonably construe” standard created much confusion for both employers and the NLRB regarding what rules were permitted or prohibited for about 13 years. Category 1—-rules that the NLRB designates as lawful to maintain, either because (i) the rule, when reasonably interpreted, does not prohibit or interfere with the exercise of NLRA rights (i.e. lawful rules that require no balancing of interests because they do not interfere with Section 7 rights); or (ii) the potential adverse impact on protected rights is outweighed by justifications associated with the rule (i.e. lawful rules that potentially interfere with Section 7 rights but the interference is justified). Category 2—-rules that warrant individualized scrutiny in each case as to whether the rule would prohibit or interfere with NLRA rights, and if so, whether any adverse impact on NLRA-protected conduct is outweighed by legitimate justifications (i.e. rules that are not predictability unlawful but, as applied, the rule’s potential adverse impact on employees’ rights outweighs its justification). Category 3—-rules that the NLRB will designate as unlawful to maintain because they prohibit or limit NLRA-protected conduct, and the adverse impact on NLRA rights is not outweighed by justifications associated with the rule (i.e. rules that will predictably interfere with Section 7 rights so much that no justification is sufficient to maintain the rule and no balancing is required). The Boeing Company dispute arose from a workplace rule that restricted the use of camera-enabled devices, such as cell phones. Although an administrative law judge found that this policy restricted protected concerted activity, the NLRB retroactively applied its new test. The NLRB determined that the “no camera rule” could potentially infringe on Section 7 rights. Then, the NLRB weighed the justification of the “no-camera” rule (protecting high value trade secrets, maintaining confidential information, complying with federal defense contractor regulations, and national security interests) versus the nature and extend of the impact on employees’ rights (the right to take and share photos to publicize workplace conditions or promote a protest of workplace policies). The NLRB determined that the “no-camera” rule fell into Category 1(ii)—-on its face, the rule may potentially infringe on some Section 7 rights but the justification outweighed that infringement. 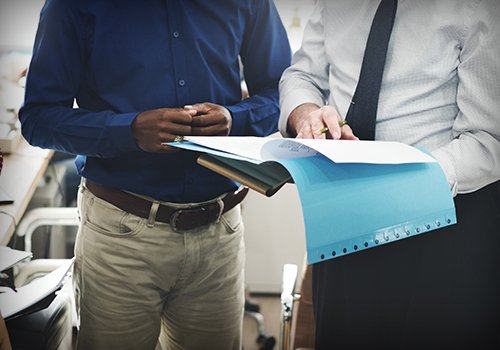 Although the NLRB’s new interpretation is more favorable to employers because it more seriously considers the justification for rules that may impact employees’ Section 7 rights, employers should carefully and regularly review their employee handbooks to ensure their workplace rules comply with the NLRA. Additionally, employers should stay abreast of additional NLRB decisions for additional guidance interpreting Sections 7 and 8 of the NLRA as this is an area of law that is frequently in-flux.